Is it snowing in Avoriaz ?Merci! Avoriaz sits on top of a cliff 800m above the ancient town of Morzine. 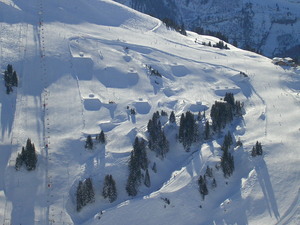 The resort itself is car-free so most people tend to park in Prodains (Morzine) and take the cable-car up to the resort. 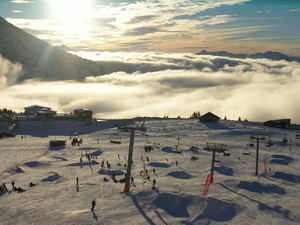 Avoriaz is at the heart of the Portes du Soleil ski area, in the Haute Savoie region, which boasts over 650 km of pistes. The slopes tend to favor the beginner-intermediate with only 10% being rated black. However, there is plenty for the free stylers. 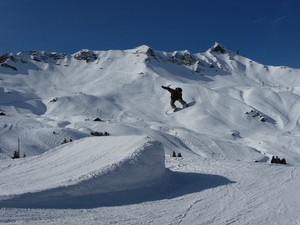 Avoriaz is considered by many to be the home of snowboarding in the Alps, it was one of the first resorts to have a terrain park and a pipe and continues to welcome boarders and skiers who love to jib. 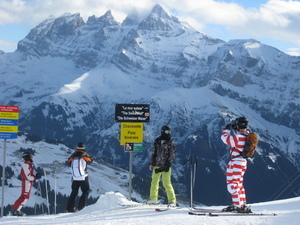 Off the slopes you will be spoiled for choice with a number of restaurants, bars and night clubs. 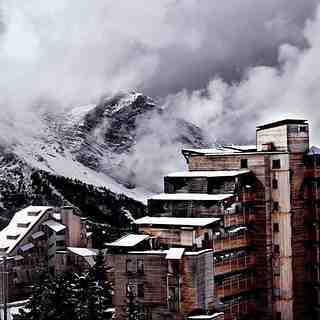 Even the apartment blocks at Avoriaz seem to blend into the surroundings. One of the nicest purpose built resorts in the Alps. I am booked for my 6th consecutive visit at the end of January. 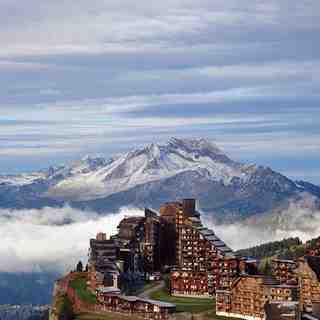 I know Verbier, the 3 Valleys and Val D'isere from visits there yet Avoriaz always attracts me. One reason is the fact I can fly at 6am and be on the piste by midday. I have never found it crowded with a 3 or 4 minute ski queue being the maximum. For me it is unrivalled in Europe.